Everyone is always fascinated with the robots in some way. 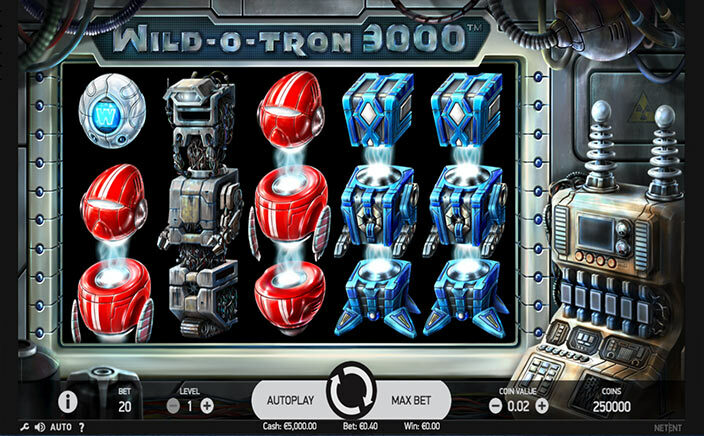 WILD-O-TRON 3000 slots game by NetEnt is one good chance for sci-fi lovers to play and win from the comfort of their chair. This is 5 reels 3 rows slot with fixed 20 paylines to play. It can be played on desktops, tablets and mobile phones as well. This slots game features a sci-fi craze back from 1960. The slots game is played is a worn out robot factory with some 1960’s music playing in the background. The sci-fi slot game features seven cool robot models as the game symbols from the old Wall-E to a classic red electromagnetic robot. Each robot has a special amount to award the players. 5 old looking WALL-E robots award 2x your stake amount, as for the 5 red electromagnetic robots you get 15x your wins. As these robots are stacked on the reels, it gives the chance to players to get a full screen for any spin played. The WILD-O-TRON 3000 feature is really great in awarding the bonus and just as any traditional bonus round would. The feature is activated randomly, which is frequent in the game. During this feature you hear an electromagnetic machine calling out ‘WILD-O-TRON’ and the spins start to slow down before going in on the super-fast mode. During this, the machine adds 1 to 6 wild symbols on the reels the players have the chance to win up to 500x of their stake value if they land full-screen wilds. WILD-O-TRON 3000 slots game has a single bonus round, which triggers randomly and frequently and if you land a full-screen of wilds during this feature it awards you 500x your stake. 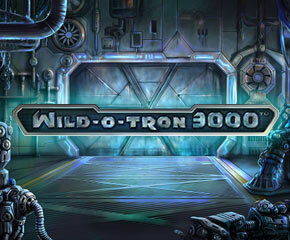 WILD-O-TRON 3000 is an amazing slots game for sci-fi lovers with some amazing payouts.